The Keweenaw Waterway is a waterway that separates the Keweenaw Peninsula from the mainland of the Upper Peninsula. This waterway, sometimes referred to as the Portage Canal, has been used as an alternate route for shipping traffic when weather problems on Lake Superior were an issue. 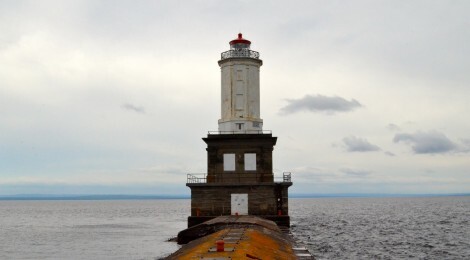 At the lower entry to this waterway near Jacobsville sits the Keweenaw Waterway Lower Entrance Light, also known as the Portage Lake Lower Entry Light. 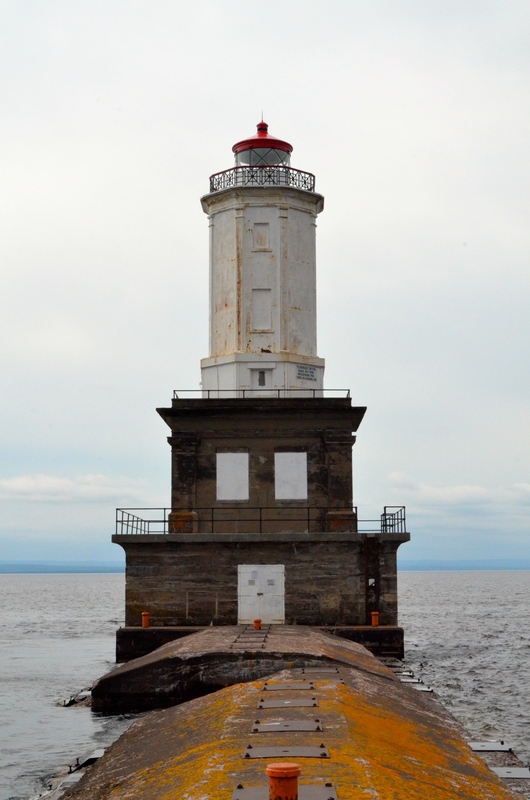 This Michigan lighthouse was built in the 1920s and sits at the end of a breakwater that separates Lake Superior from the Portage River and the Keweenaw Waterway. 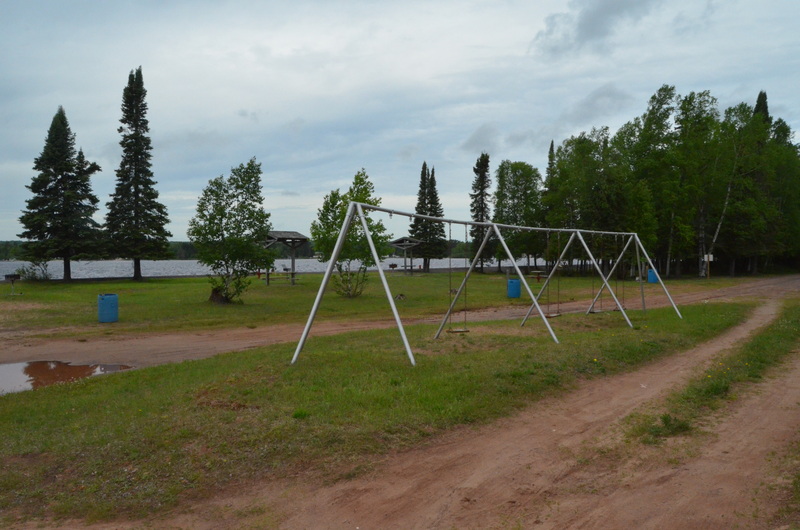 Public access to the Keweenaw Waterway Lower Entrance Light can be found at White City Park, which includes a sandy beach as well as playground and picnic areas. 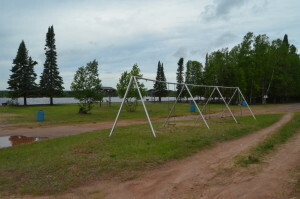 To reach the park, head east on 9th St. from downtown Lake Linden and M-26. Stay on 9th as it becomes Bootjack Rd. and follow Bootjack for a little more than seven miles. 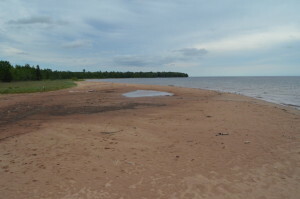 The road will fork here; follow the left fork (Dreamland Rd.) 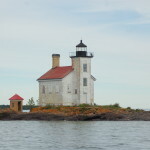 and stay on it for more than eight miles at which point it reaches a T intersection. 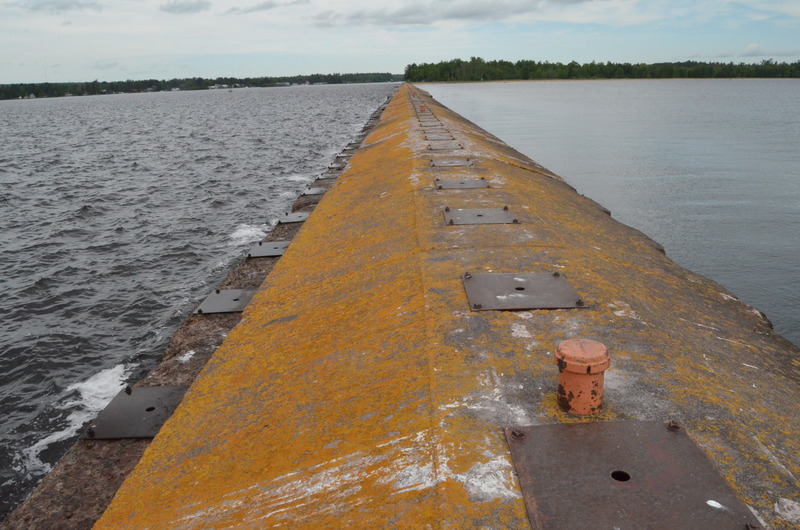 From here, head to the right and follow the road to its end at the park (passing a boat launch then the old Coast Guard station). 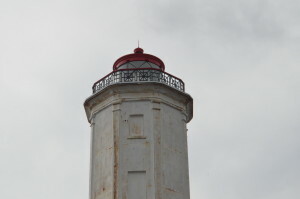 After parking, head toward the breakwater and lighthouse if weather conditions allow access. 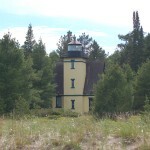 The Upper Entrance Light marks the other end of the Portage Canal at F.J. McLain State Park northwest of Hancock. 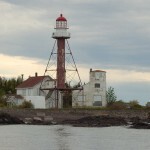 The Jacobsville Lighthouse Inn can be found a few miles down the road from the Keweenaw Waterway Lower Entrance Light. 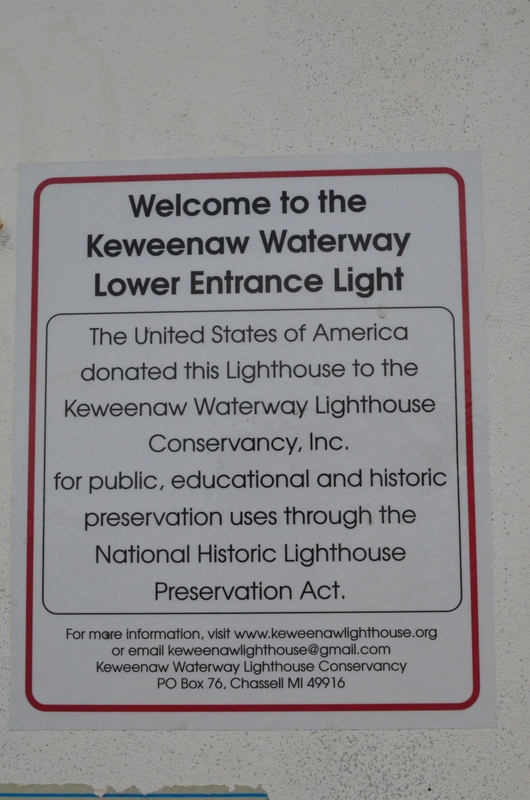 When we visited in June 2017 the lighthouse had received a fresh coat of paint thanks to the efforts of the Keweenaw Lighthouse Conservancy. 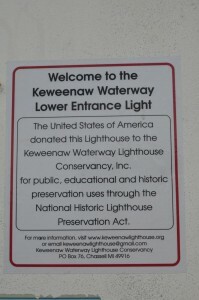 To find out more about this organization and their preservation efforts head to https://www.keweenawlighthouse.org/. The USLHS passport stamp for this lighthouse can be found at the Keweenaw Land Trust office in Hancock (801 N. Lincoln Dr. #306). 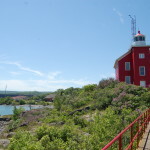 To find out more about the Keweenaw Land Trust, including preservation efforts at the Manitou Island Lighthouse, head to http://www.keweenawlandtrust.org/.